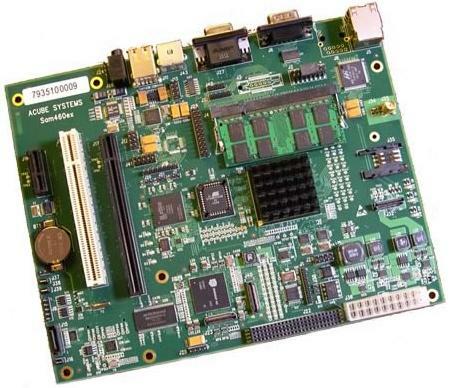 ACube Systems is happy to announce the new Sam460ex board. This board will join the Sam family together with the Sam440ep-flex. Based around the AMCC 460ex SoC, the board offers many modern features like: PCI express slots, SATA2 port, Giga Ethernet, DDR2 RAM. Notes: the SATA2 port and the PCI-e 1x slot are mutually exclusive, only one of them can be used at a time. Price: the exact price will be announced when the board is available to the user (due the varying USD / EURO exchange rate) it will be in the range of EUR 600 - 650. The board will NOT replace the Sam440ex-flex board.